Magical Uses: Love, Money, Repel Negativity. Cinquefoil also known as Five Finger Grass, as the leaves of this plant have five points or fingers. Associated with the five points of the pentagram, the five qualities of Love, Money, Health, Power and Wisdom, all are believed to be granted to the bearer. Used to repel any evil or negativity caused by the five fingers of man. Associated with the planet and goddess Venus and makes a pleasant offering to Venus. Used for business & house blessing. 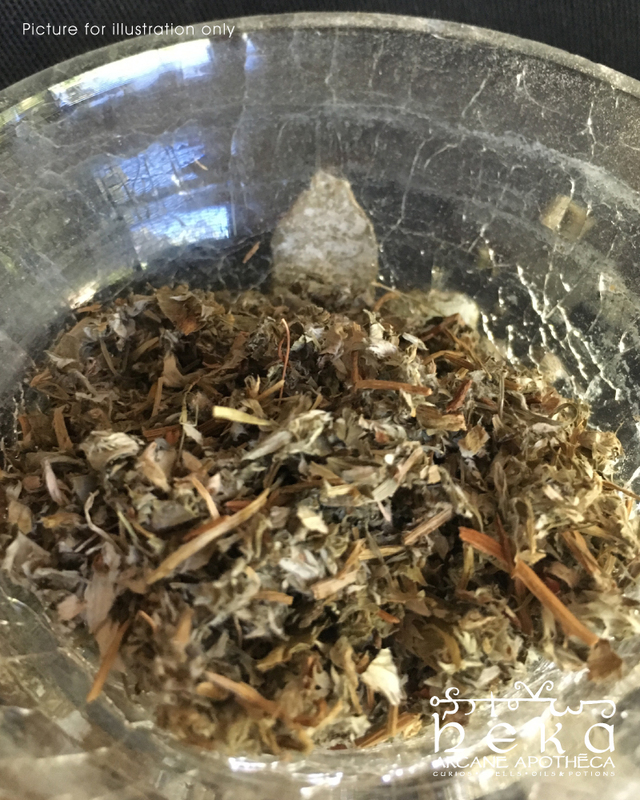 Use in spells to bring protection to a friend or loved one taking a journey. Burn as an incense during divination with the purpose of finding love. Cinquefoil is also an ingredient in the modern non-toxic flying ointments.